Prepare for Taxes now, Avoid Stress Later | Sheltra Tax & Accounting, LLC. Right now, the idea of thinking about tax filing season may sound as welcome as the hiss of air leaking from your swimming pool raft. But planning ahead may keep you from getting soaked later. 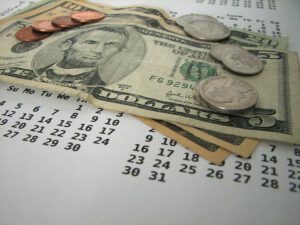 So if you’re considering anything more complex than a standard deduction, this is a good time to take a look at things you can do before the end of the year to save money and avoid April stress. First, you need to get organized. If you’re thinking about taxes now, you probably aren’t the type of person who shows up at the preparer’s office with a sack full of receipts. Still, if your record-keeping has fallen behind or gotten a little sloppy, it’s good to tidy up before the crush of the late-year holidays. Then spend a few minutes at https://www.irs.gov/credits-deductions just to make sure you’re considering all the credits and deductions to which you’re entitled. The site’s News & Events page can also be a treasure trove. Scan the headlines to see if there’s anything that might benefit you. One of the primary aids for planners this year is that in December, 2015, Congress extended a number of a tax breaks instead of waiting until spring and extending them retroactively. Among them are tuition deductions, sales tax deductions, energy efficient homes credit for individuals and depreciation advantages for businesses. Next, think about any major changes you’ve been through in the past year. Start a business? Lose a job? Buy a home? Get married or divorced? Have a child? All have tax implications and an impact on the way you file your return. Another area to examine is your charitable donations. Whether you’re generous, or less so, having a plan for your giving helps with your taxes. Making those donations before the end of the calendar year will help offset your tax bill. Those donations don’t have to be cash. Donating property that you’ve owned for at least a year or appreciated stocks. Remember to save all receipts. Carefully filing them now can save some discomfort later. You can also donate to yourself — in other words, ramp up your contributions to your retirement accounts. If you’re not giving the maximum to your 401(k), you’re losing tax benefits. Check any flexible spending accounts you have for health or child care. Your contributions into the account aren’t taxed, but the money evaporates at the end of the year. Make sure you have a plan to spend it all. Depending on your level of control, making payments before the end of the year and deferring income until after Jan. 1 is another way to keep your tax bill low. As you’re working through your possibilities, keep an eye on your Alternative Minimum Tax triggers. The AMT, designed to keep the wealthy from using legitimate tax incentives to reduce their bill to almost nothing, does away with many of the common deductions like the personal exemption and state income tax paid. If you’re close, do your research or seek advice from your tax expert. This entry was posted in Blog, Bookkeeping, Taxes and tagged Tax Prep Service, taxes on September 23, 2016 by Diana Sheltra.